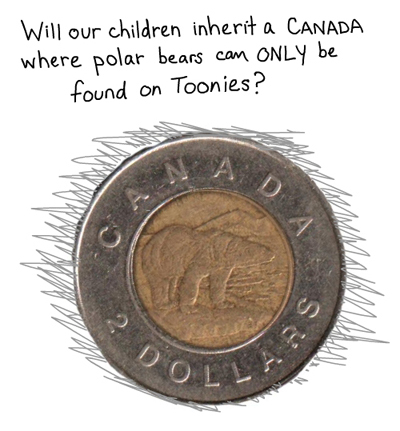 Will our children inherit a Canada where polar bears can only be found on Toonies? TORONTO, September 30 — Concerned that one day polar bears may only be found on Toonies, and that Canadian voters are wrongly being asked to choose between the economy and the environment on October 14th, Canadian artist Franke James has created a visual letter to Stephen Harper. James challenges Harper’s assertion that the other parties are “dangerous because they will tax polluters.” She asks, “But if we don’t tax polluters, who will pay to clean up the mess? Will my children — and yours — be paying?” She backs up her statements on the Alberta oil sands and China, with facts from the Pembina Institute, Sierra Club Canada, The Telegraph UK and other sources. Franke James is a Canadian artist and writer who blogs at MyGreenConscience.com (www.frankejames.com). She is also an entertaining and persuasive advocate for the environment. In 2007 James battled Toronto City Hall for the right to build a “green driveway” and won. She has a Masters Degree in Fine Arts from University of Victoria, and a Bachelor of Fine Arts from Mount Allison University. 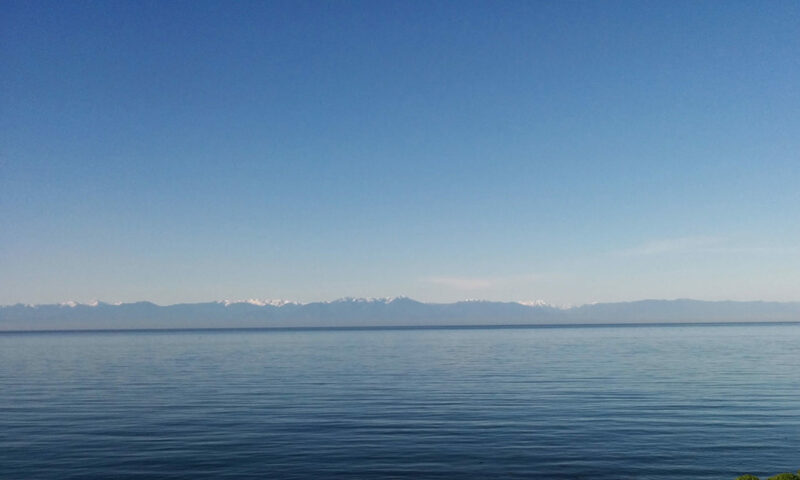 James’ environmental essays have been featured in newspapers, TV, radio, books and online.